The small Canary Island of Lanzarote is a hugely popular tourist destination. Attracting around 1.5 million foreign visitors every year. Thanks to a great year round climate, over ninety beautiful beaches, unique volcanic scenery and some of the most unusual tourist attractions to be found anywhere in the world. During the 18th century Lanzarote experienced one of the longest lasting volcanic eruptions ever witnessed in the modern world. This cataclysmic event buried about one quarter of the island under a sea of lava. Destroying some of Lanzarote´s finest agricultural land in the process – and forcing many of the islands inhabitants to leave for a new life abroad. Today – Lanzarote is best known for the 300 plus volcanoes that dot the landscape. Whilst the Timanfaya Volcano Park is the island’s leading tourist attraction. Welcoming close to one million visitors every year. The landscape at Timanfaya is often likened to the surface of the moon. And apparently Apollo astronauts were shown pictures of the park prior to their lunar missions. Visitors are greeted by a scene of utter devastation – as mile after mile of twisted lava shapes and spent volcanoes extends into the distance. But Timanfaya has its own unique and awe inspiring beauty – as the landscape here looks very much like how our planet must have appeared when first formed many millions of years ago. During the 1970´s Lanzarote faced another kind of burial. As property developers and hotel chains eyed the island greedily. Hoping to replicate their recent successes on the Spanish Costas. Where they had submerged swathes of land beneath a sea of hotels and apartment complexes. Lanzarote looked set to share a similar fate. But the island was saved by a local artist called César Manrique. 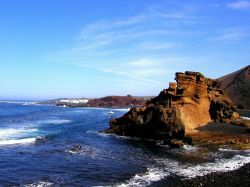 Who was determind to preserve Lanzarote´s natural beauty and integrity intact. Working in close tandem with his friend Pepin Ramirez – who was also head of the island government at this time – Manrique fought and won. Securing a ban on all high rise construction. Whilst also successfully outlawing advertising hoardings. As a result Lanzarote today remains largely unspoiled. Despite its popularity as a tourist destination. With the three main resorts all carefully contained. Manrique also sought to do more than just preserve the island´s scenery though. As he also created a series of unique tourist attractions. Such as the Jameos del Agua and the Mirador del Rio. Where he fused art with nature In order to illustrate that there were alternatives to the water parks and golf courses dominating in other Spanish sun spots. In 1994 Manrique´s efforts were rewarded. 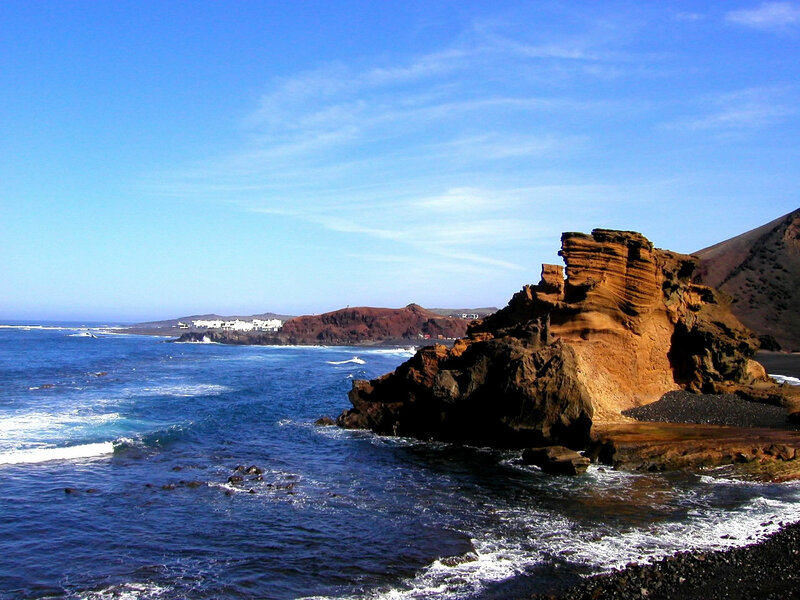 As Lanzarote became the first island in the world to be declared a UNESCO protected biosphere. The island is serviced by all of the leading UK tour operators such as Thomson and Thomas Cook. As well as leading low cost operators such as Monarch and easyJet. 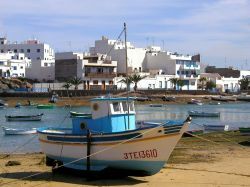 With flights to Lanzarote starting from around £180 return. The best hotels in Lanzarote are located in the south of the island. In Lanzarote´s newest resort of Playa Blanca. And whilst this is a year round holiday destination the best time to visit is either October or November. When the Trade Winds have died down a little and there are fewer tourists on the island.